We get a remote control, power and VGA cables, a manual on CD and a quick start guide. This review unit did not come with a set of 3D glasses and a USB charger for them, but these are optional accessories and may not come with all models. Of course, these can be bought separately. It’s business as usual in the looks department, with the W750 sporting the same basic design as many of BenQ’s other projectors. It uses a two-tone chassis with compact size and a reasonable level of build quality. In terms of dimensions, it measures 325 x 141 x 242mm and it weighs 2.6kgs. 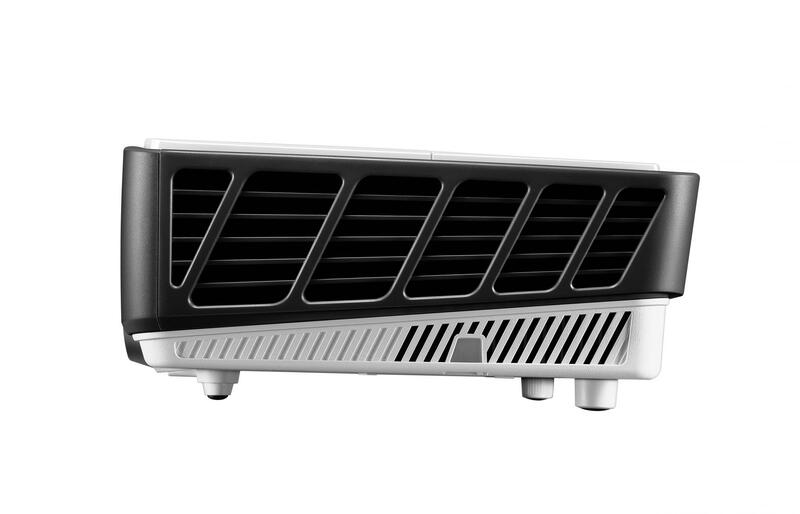 The W750 is a very thin projector. The projector’s single lens is offset from the centre to the right, with a detachable lens cap attached via a rubbery cord. A BenQ logo is in the centre, with an exhaust port on the left hand side. At the base of the front is a button labelled PUSH which extends the stand. Turning our attention now to the top of the projector, we have once again a familiar layout, with the lens controls (focus and zoom) at the upper left, some logos on the upper right, and controls near the middle of the bottom. On the back, we’ve got the inputs and outputs. We’ve got exactly the same set here as on the W1060, which is to say two HDMI ports, Component, VGA, RCA and S-Video. More HDMI ports would be nice, but for a budget projector this is a great spread. The projector also comes with a remote. This remote is a bit difficult to use, with overly chunky buttons. Still, it’s nice to have. If you set up the BenQ W750 correctly the images it produces are certainly detailed enough to please anyone who plans to use it on a 6 to 7 foot screen. What’s more the image accuracy out-of-the-box is excellent, so even after a basic setup the W750 can deliver pictures that punch well above their market position. Outside of mere resolution, the BenQ W750 performed admirably. The colour balance was spot on pretty much out of the box, and greyscale performance was similarly excellent. Both could also be improved through rather rapid calibration as well. We’ve never seen such an excellent looking 720p projector, which is particularly impressive given the low price of the W750. The 3D experience was also top-notch. With plenty of 3D options available, it was easy to get things set up rapidly. While there are relatively few 3D films out there, those that did include 3D support looked fantastic. It’s quite incredible that a projector this cheap can produce 3D images this good but that just goes to show how effective DLP is when it comes to adding the third dimension. All of DLP’s innate advantages come into play, with excellent motion handing and a complete lack of crosstalk. The addition of ‘triple flash’ means that flicker is also eliminated, making for a much more comfortable active shutter experience. 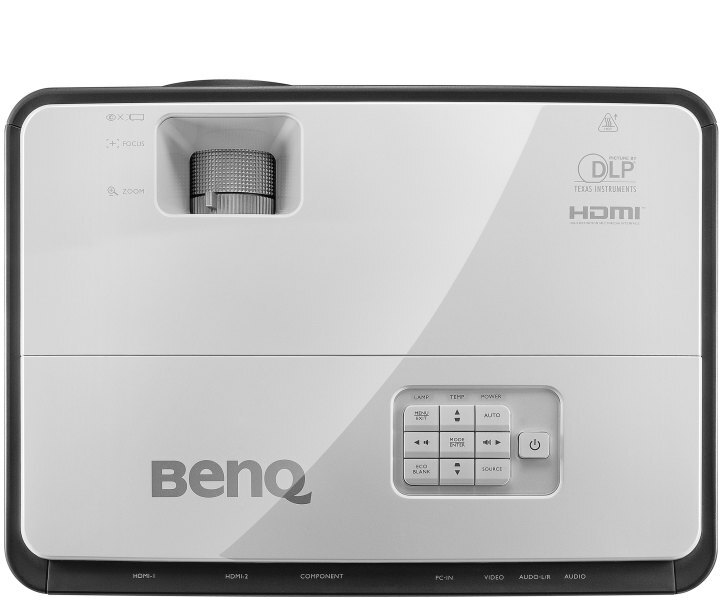 This projector has the same 10W speaker as found on many other BenQ projectors, which we found quite underwhelming. While the speaker is fine for low volumes in small rooms, you’ll really want to hook up a set of speakers for a true cinematic experience. 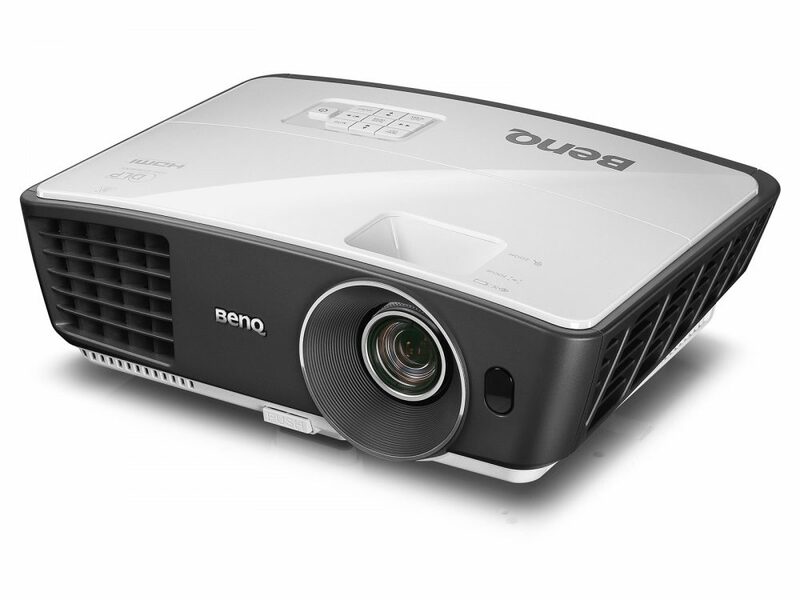 Given the general decline in popularity of 3D it’s hard to recommended a projector just on that basis but there’s no doubt if you’re looking for a good 3D projector at a ridiculously low price, the BenQ W750 should definitely be on your list. The W750 proved quite easy to use and definitely underscores the importance of a solid physical design backed up with a well-written OSD. The price of the BenQ w750 at Rs. 60,000 will impress most!